Give us a call for more info or to book your bonefishing trip! 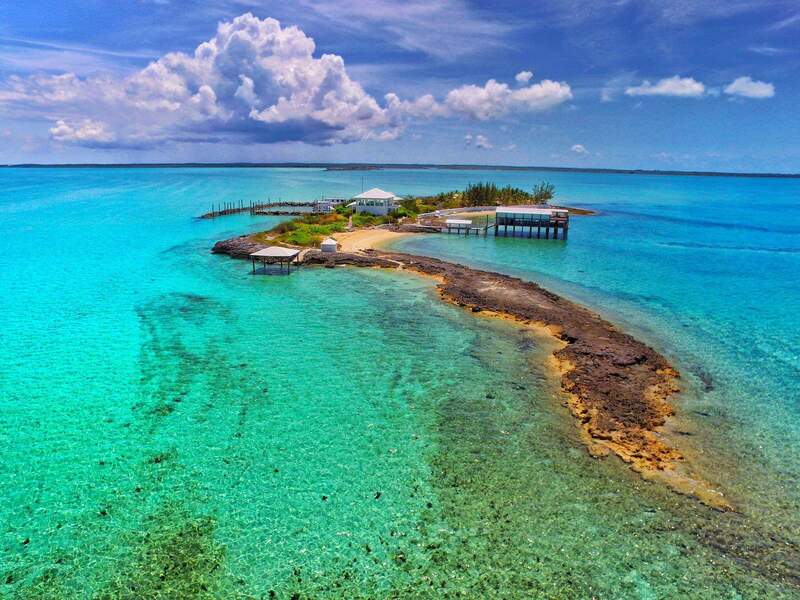 Looking for the best day trip offered in Nassau? Bullseye Bonefishings Nassau day trip allows you to get away from the hustle and bustle of Nassau and experience one of the family out islands of Eleuthera and get you back to Nassau in time for “Happy Hour”. A short 25 minute flight and you are in the best bonefishing waters in the world. 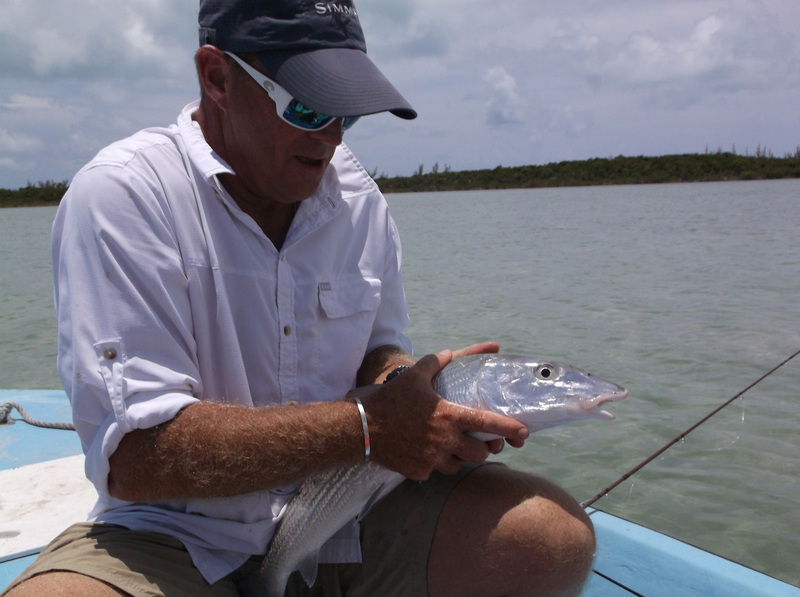 There are few places in the world where you can expect to find trophy-size bonefish. 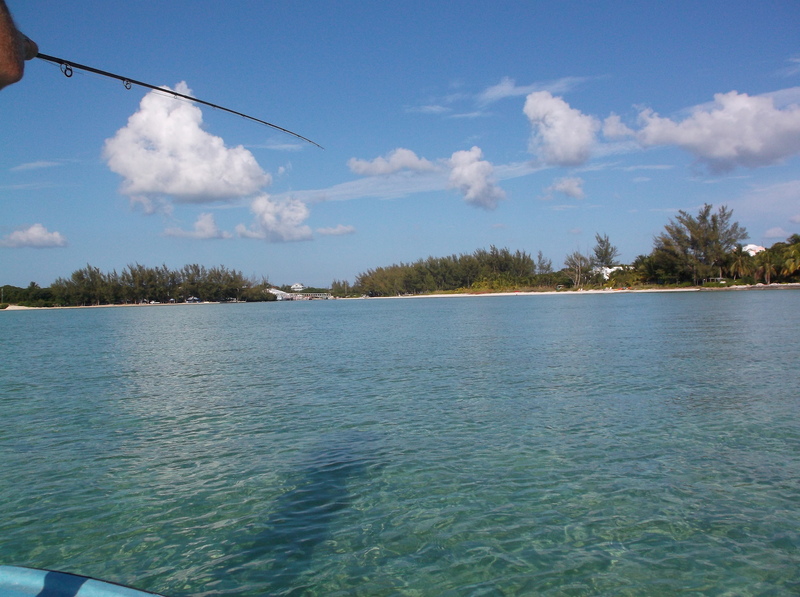 The Bahamas is arguably the best, and in the Bahamas Spanish Wells you’ll find the “best bonefishing there is”. 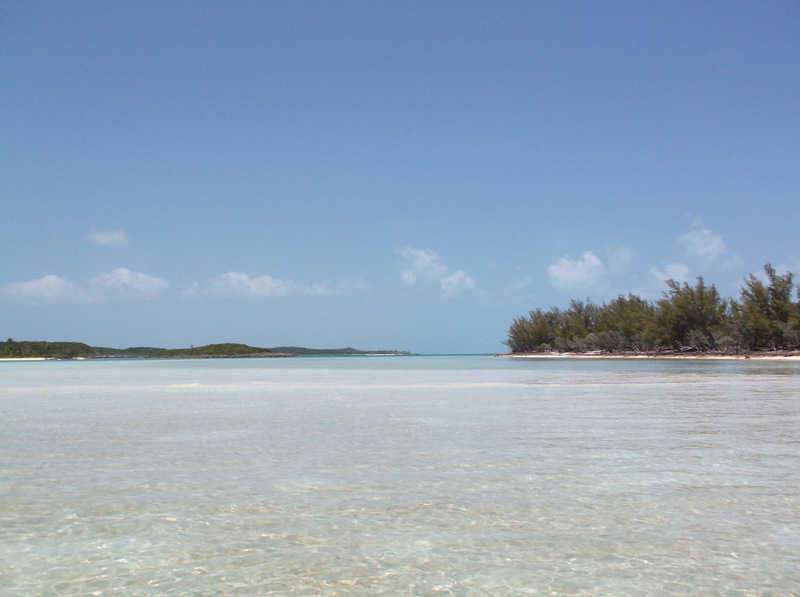 What makes Spanish Wells the best bonefishing in the Bahamas you ask? 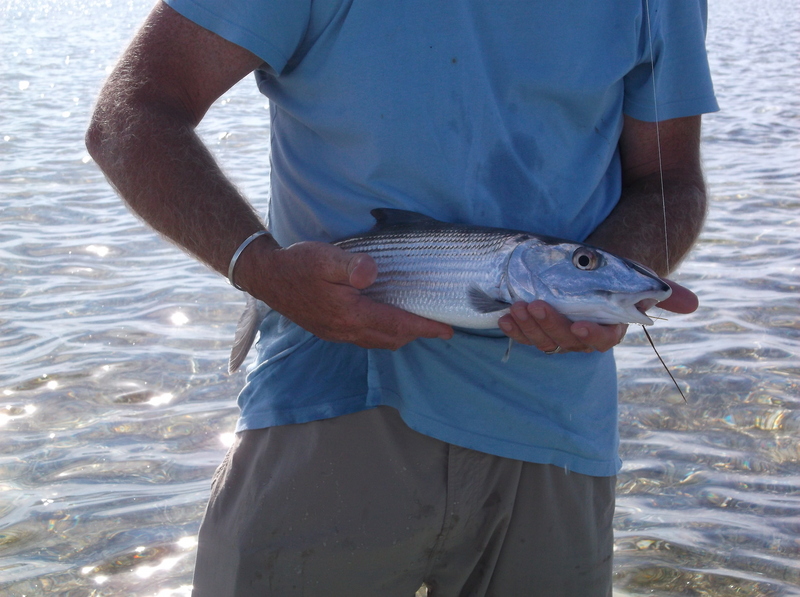 It’s not that the average schooling fish is 4-6 pounds, it’s not that you will see bonefish easily topping 10 pounds, it’s not that you will see 15 pound bonefish tailing frequently. 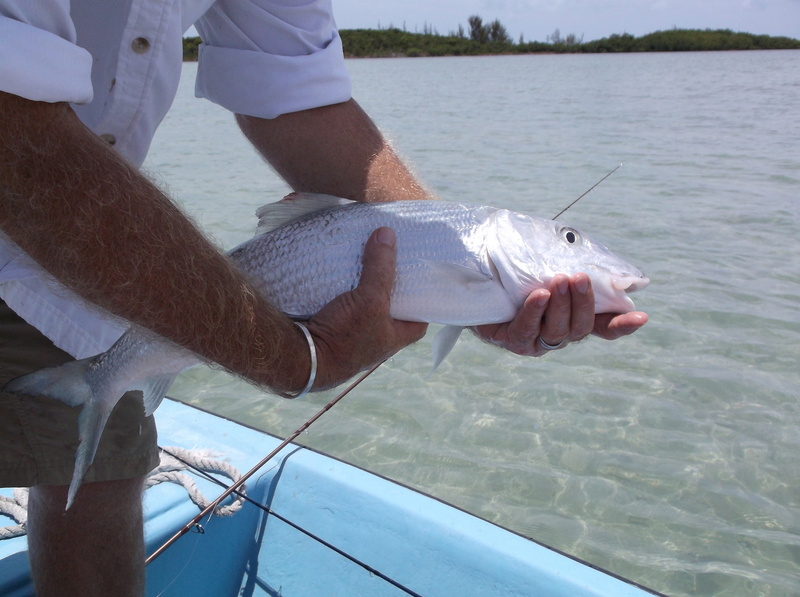 What makes Spanish Wells the best bonefishing in the Bahamas, and quite possibly the world, is that there is no pressure on these fish. 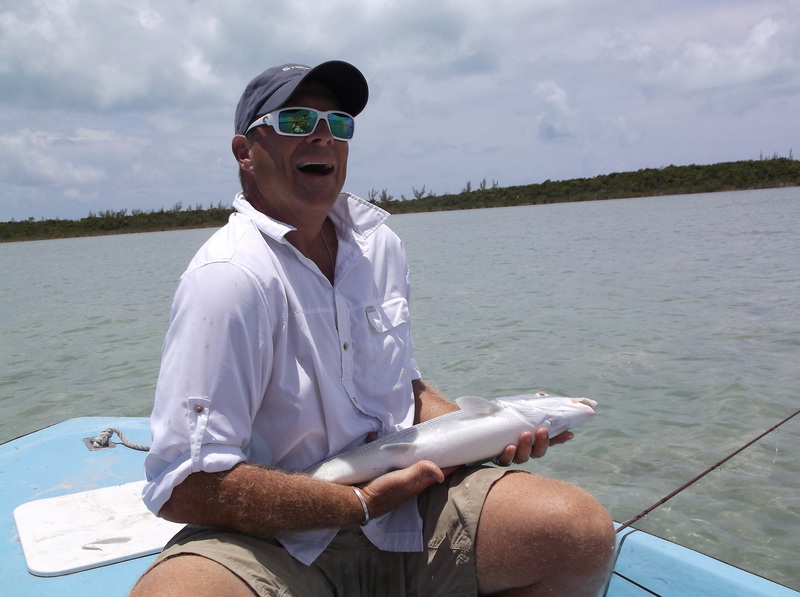 Shaw Underwood is our bonefishing guide, the only guide in Spanish Wells, Bahamas. 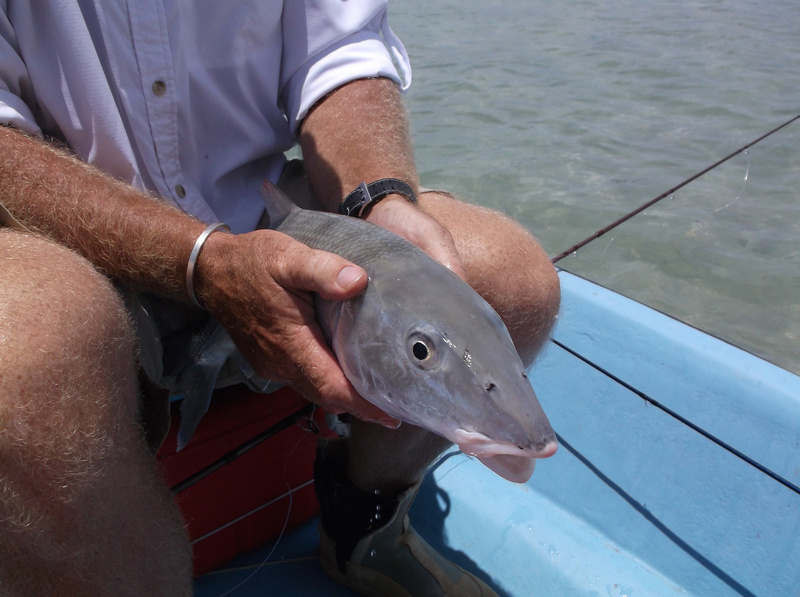 The “Grey Ghost of the Flats” is a fish he grew up seeing in the Bahamas for 45 years. Born and raised in Spanish Wells, chasing the “Grey Ghost” bonefishing is his passion. You want to go deep water fishing? Sure, we can do that in our center console deep water boat. 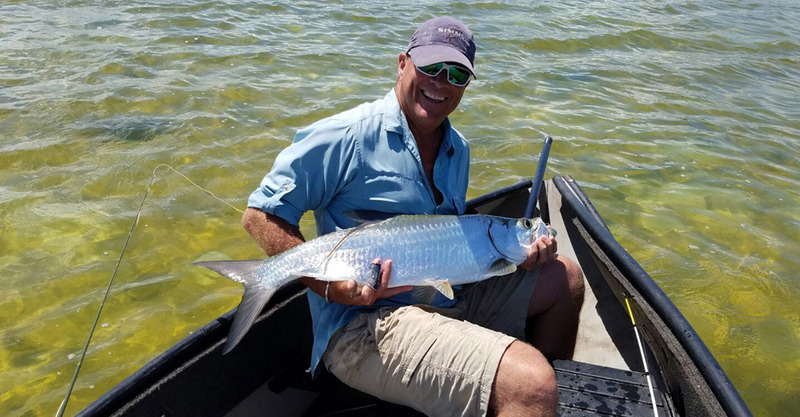 If you want to catch trophy sized bonefish in waters where the bonefish have never seen a fisherman or a fly, Shaw Underwood is your guide and will take you fishing those waters in a great 18-foot flats boat. The Bahamas is truly one of the most beautiful places you will ever see – but catching a 12-15 pound bonefish is a memory of a lifetime you will never forget. Spanish Wells is surrounded by flats, and what make Spanish Wells unique is that right off of the flats sits the Atlantic Ocean. You don’t need to go out a mile or 2 miles to be in the Atlantic, some of our flats drop directly into the Atlantic Ocean. Important? You better believe it! The Atlantic Ocean produces the largest bonefish in the world. 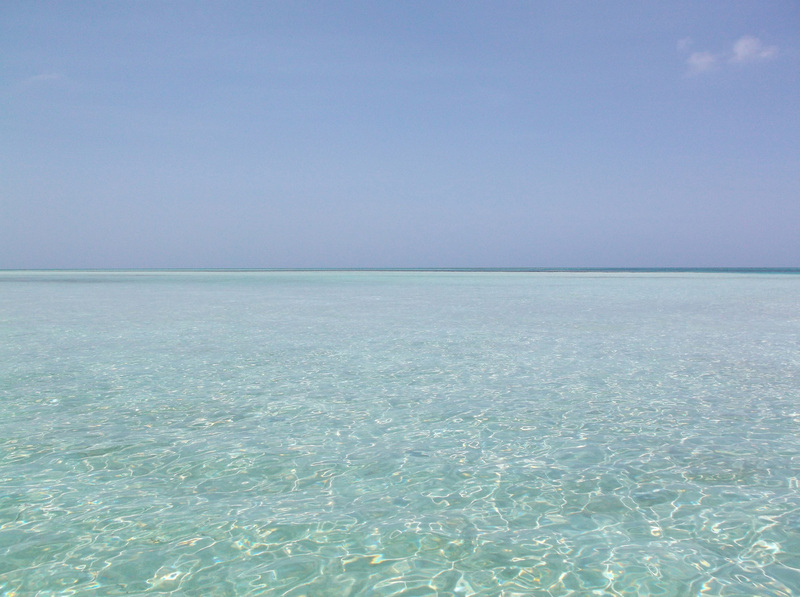 More than any other ocean, including the Caribbean. Leave your 8 pound test line at home, you will need a 20 pound test leader with a 16 pound tippet tied off of it when fishing in the flats around Spanish Wells. 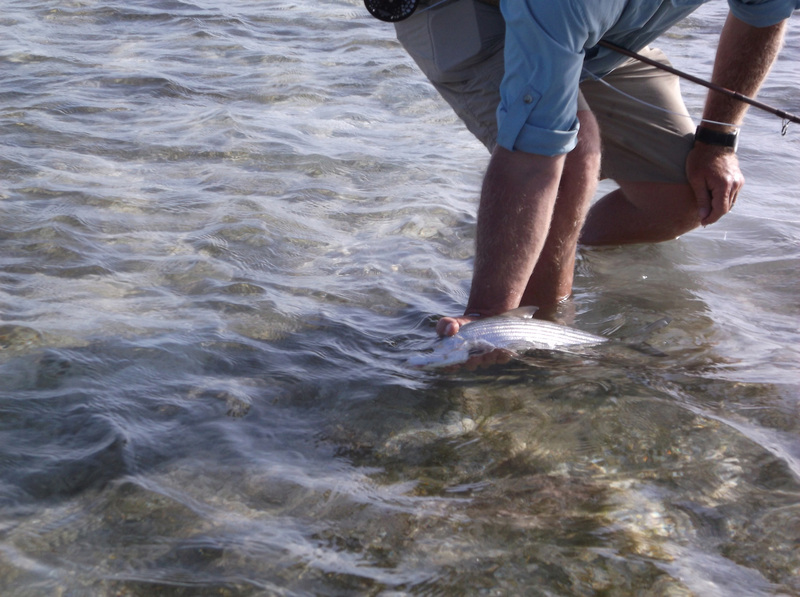 Anticipation is one of the most powerful sensations in angling for bonefish. 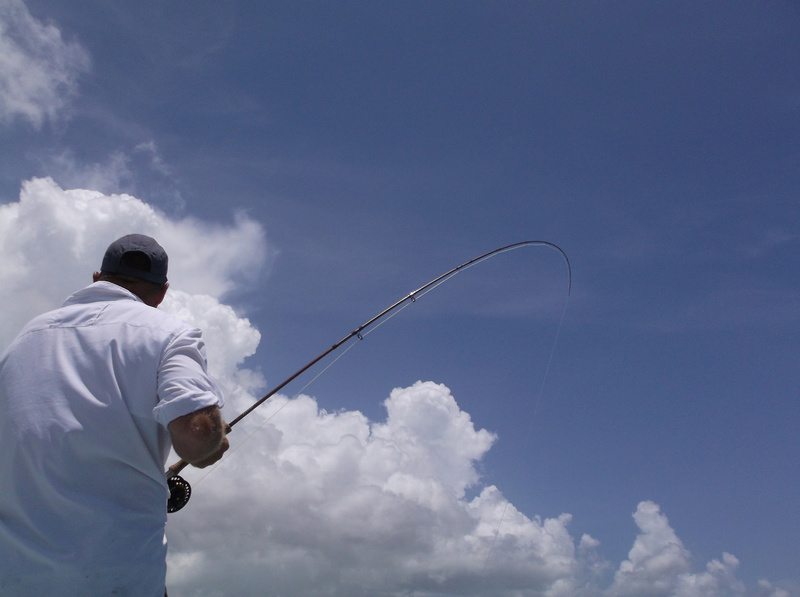 In clear-water flats fishing, the greatest thrill comes in the instance between when the fish is spotted, and the presentation is taken or refused. The combination of visual drama and tactile electricity between angler and quarry truly gets the heart pumping! Mangroves are a great provider of food for Bonefish. I will take you to spots where flats are lined with mangroves. 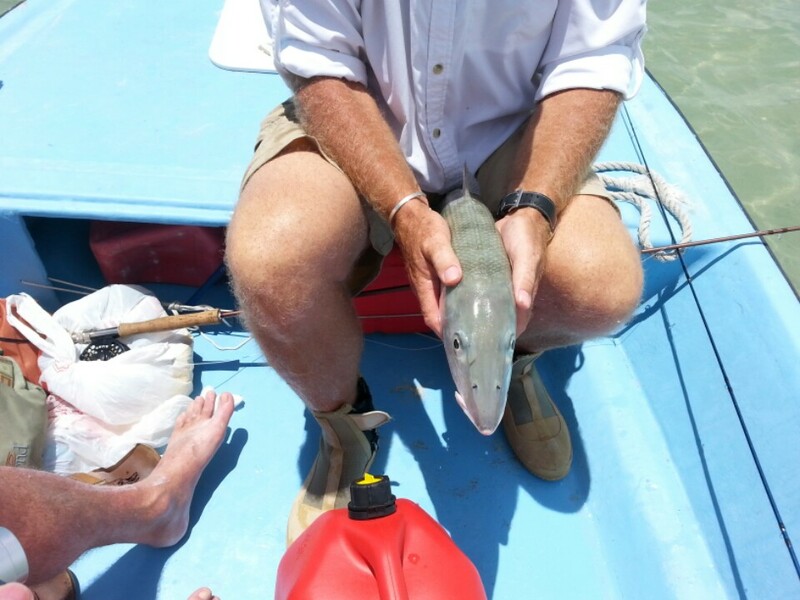 Here you will have the opportunity to catch schooling bonefish feeding in the sand or cruising the mangroves. 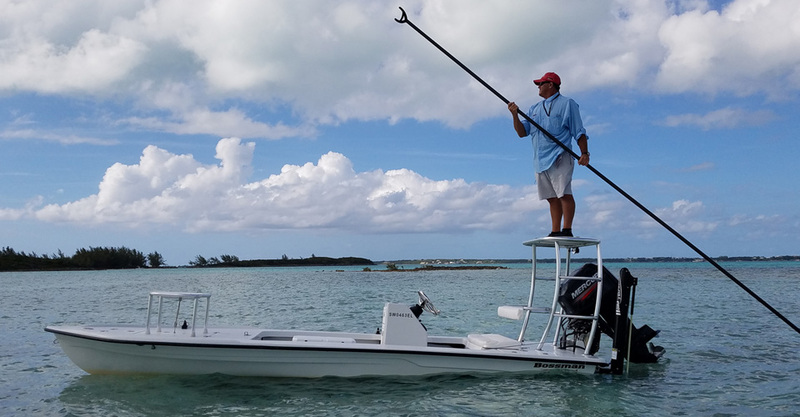 Coupling these 2 options doubles your chances of catching bonefish. Bonefish love turtle grass and rightfully so. 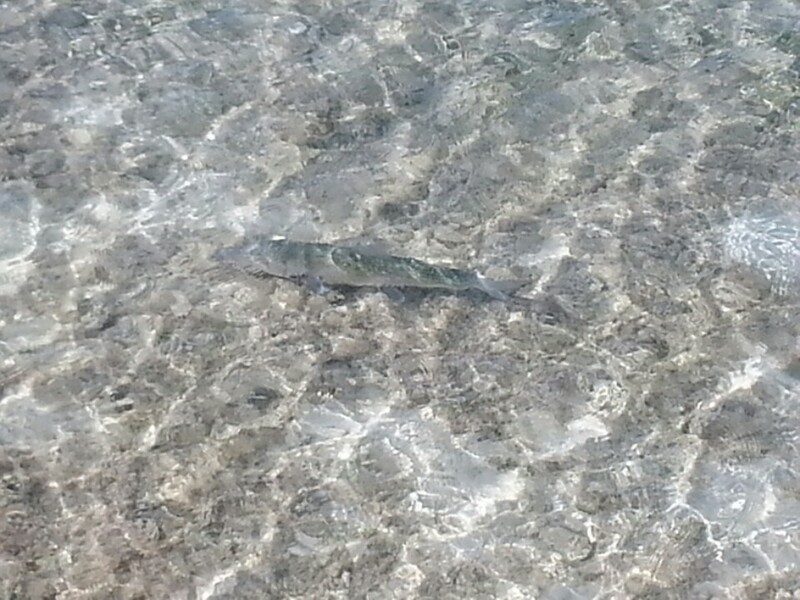 Bonefish are the hardest to see and the most protected when in turtle grass and they know it. Turtle grass provides the bonefish a plethora of food and that is why they are there. In most destinations it’s extremely difficult to even sight a bonefish in turtle grass unless its creating nervous water or a wake. One of our favorite spots is referred to as “the honey hole” by one of our clients. It’s hard to miss a 24 inch bonefish tailing, it’s even harder to miss 15 to 20 bonefish that are 24 inches tailing together. This client once said at this site “Ray Charles god rest his soul could see these bonefish”. 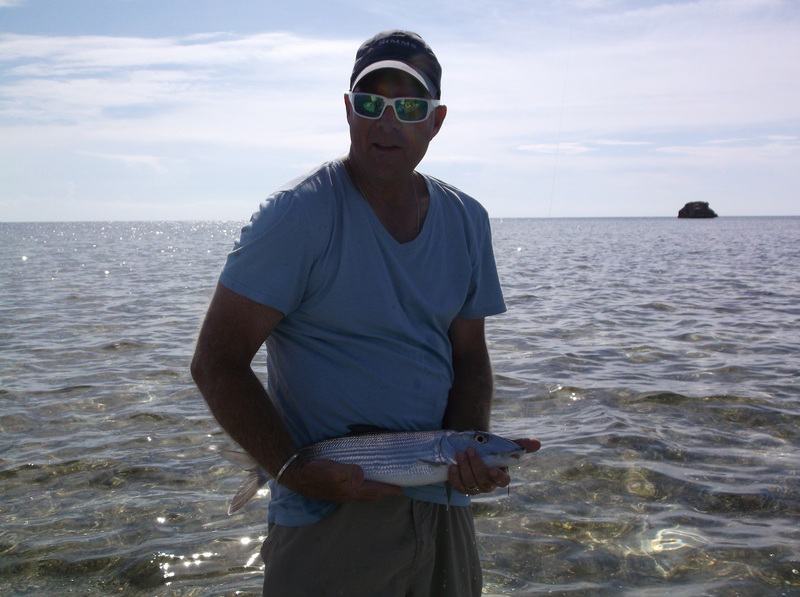 Luckily for you our fishing guide Shaw Underwood has an expert ability to site these bonefish while they are in the turtle grass, even if you can’t see them he can and will direct you on where to cast.